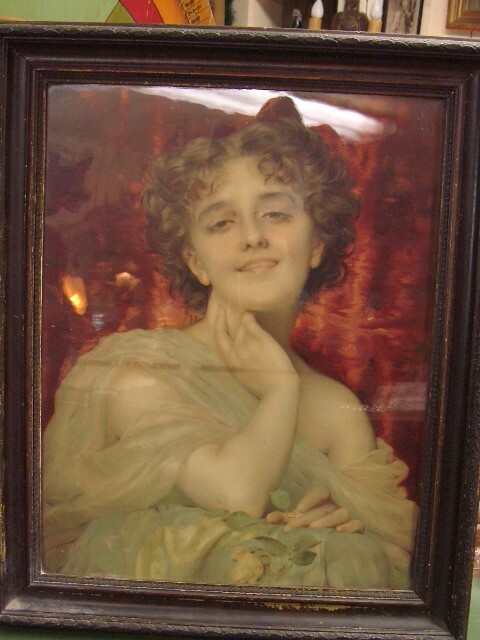 Here is a beautiful 19th Century Large original Victorian Saloon Girl Litho in original 19th cent.wood frame. Great for your Saloon or western game room or cabin. Approx 30" x 24". Here is a beautiful 19th Century Large original Victorian Saloon Girl Litho in original 19th cent.wood frame. Great for your Saloon or western game room or cabin. Approx 30" x 24". Please email cowboyron@cowboycabin.com with questions or call 406 270-2842.